Solscense is the only anti-aging sun damage repair cream made with next generation antioxidant PL extract to erase wrinkles, even skin tone, and nourish skin. Did you know that sun damage causes up to 80% of wrinkles, dark spots, redness, and saggy skin? Many anti-aging creams use harsh chemicals or unproven ingredients to prevent symptoms of aging. Solscense uses a breakthrough formula of unique ingredients to reverse the primary source of aging: sun damage. 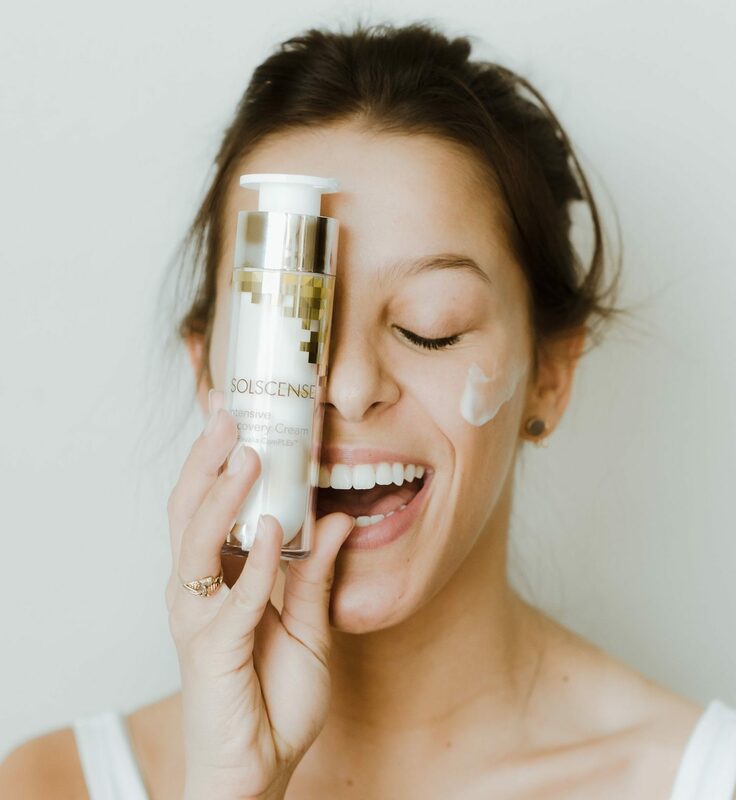 Solscense’s one-of-a-kind formula contains all natural ingredients such as PL extract, Oatmeal Extract, and Shea Butter that work with your skin’s natural rejuvenation process. You will begin to see dramatic results in as little as 4 weeks, and your skin will only continue to improve with regular use. Treats fine lines, wrinkles, and uneven skin tone caused by sun damage to reveal younger and healthier skin. Kick-starts your skin’s natural collagen production to improve your skin’s visible firmness for an instant face-lift. Polypodium Leucotomos Extract (PLE) is the natural extract from a tropical fern plant found in South America. The indigenous people of South America used to chew on the leaves of this fern because it was known to protect and heal their skin from sun damage. Dr. Whitten, founder and creator of Solscense, found the anti aging benefits of this plant to be incredible, which is why he based Solscense around this one ingredient. Solscense is the only clinically-proven and natural anti-aging cream 100% guaranteed to erase wrinkles, fix discoloration, and tighten skin. If you are not satisfied with your results for any reason, simply ship the bottle back for a full refund.